Editor's note: Viewing this on mobile? Click here for a larger version of the map. 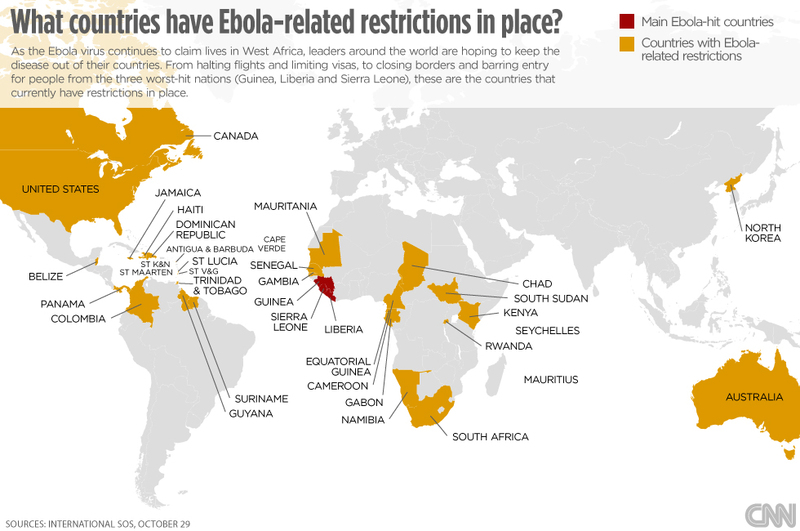 (CNN) -- The worst-ever outbreak of Ebola virus is stretching the medical capacities of Guinea, Liberia and Sierra Leone -- the three West African countries hit worst by the virus -- and alarming leaders around the world.